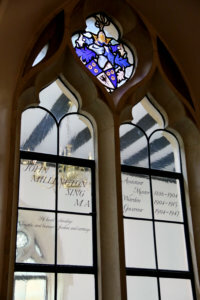 The Chapel is central both physically and spiritually to the life of the School. hells arrive at the beginning of their School career to a service of welcome and Leavers are sent on their way at the end of their School career in a Leavers’ Service called ‘Ad Itinerarium’. The School has a proud Christian heritage and our historic Chapel brings the whole community together for regular worship and glorious music. Its prominent position is a reminder of the religious dimension to life and everyone in the school community is invited to share in its activities. 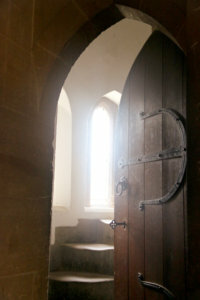 The Chapel is open every day for those who wish to pray or find some quiet. Completed in 1878, the building embodies our rich association with the Oxford movement and we remain committed to our Anglo-Catholic traditions. Our Chaplains, Revd Ernest Lennon and Revd Katie Jones, offer many opportunities to explore matters of faith and belief and to assist with worship. They are available to all pupils, staff and parents, regardless of religious affiliation, to provide pastoral and spiritual care or just a listening ear. The Chaplains can help pupils from other faiths find a place to worship and are always delighted to hear from OSE considering a baptism or wedding. If you have any further questions please do not hesitate to contact the Chaplain.